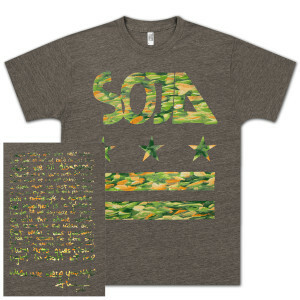 Heather brown t-shirt featuring camouflage SOJA stars and bars artwork with brushstroke design on front and lyrics from When We Were Younger on back. 50% polyester/25% combed cotton/25% rayon. Printed in the United States.